Cash back is all the rage these days, and savvy shoppers everywhere are saving money with apps like Ibotta. 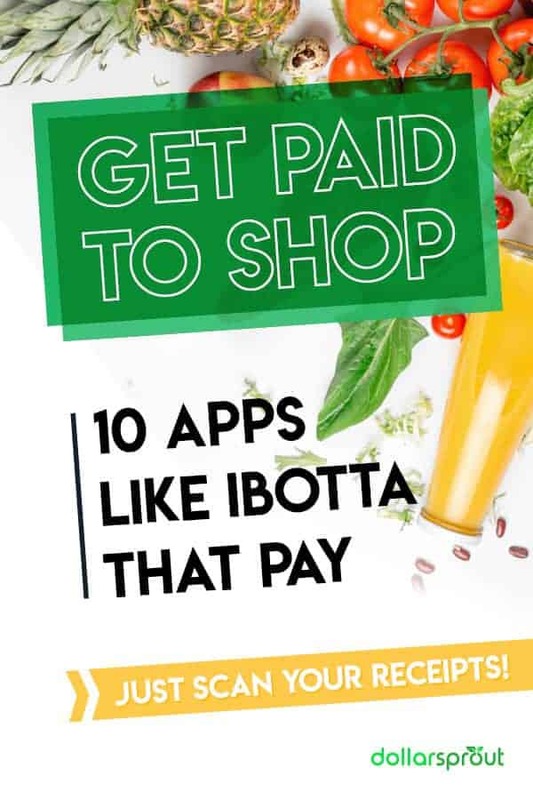 If you aren’t familiar with how the Ibotta app works, it’s basically a free mobile app that gives you rebates for different grocery items. You can unlock rebates through the app by completing various small tasks after you shop, like taking a short survey or reading about a product. When it comes to saving money, you can never have too many tools in your arsenal. That’s why we’ve come up with the top 10 free shopping apps like Ibotta that will help you save big on everyday purchases. Here’s the thing about cash back apps: they don’t all have the same deals. That’s why it helps to have a few Ibotta competitors’ apps on hand — so you can “shop around” for the best cash back deals on whatever you are buying! The first thing you’ll read when you visit Checkout 51’s website: buy groceries, earn cash back. 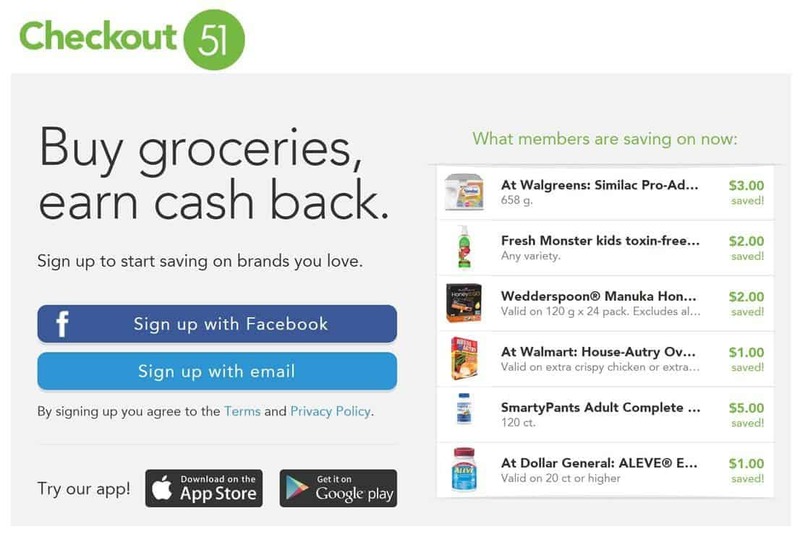 Once you download Checkout 51 for free, all you have to do is claim an offer, take a picture of your receipt, and you’ll receive cash back to your account. Once your cash back balance reaches $20, request a check to receive free money in your mailbox in a matter of days. The list of offers updates every Thursday morning, so there are always new options to choose from! For the more health-conscious shoppers, BerryCart is the way to go. 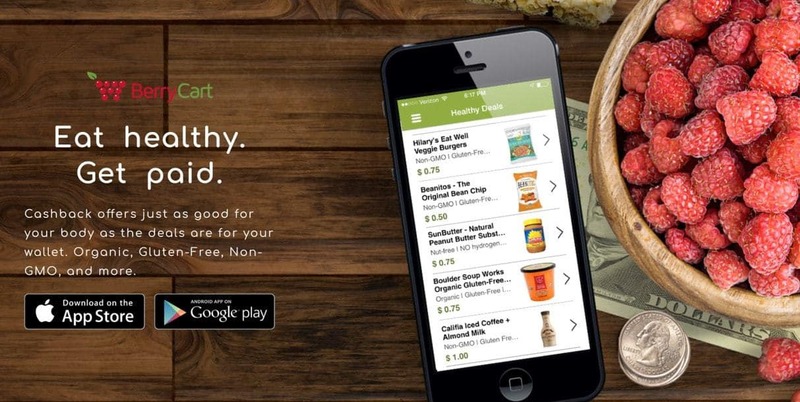 This app offers deals on the best organic, gluten-free, and non-GMO foods in your area. Education is the name of the game! After you download BerryCart, earn rebates by learning fun health and nutrition facts to help you lead a healthier, more natural life. What’s not to love about an app that pays you to learn?? The rest is standard procedures – snap a picture of your receipt and receive your payment within 24 hours. Originally, Shopkick (via iOS or Android) was created to reward users for walking into stores and scanning the barcodes for certain items. Now there are a variety of ways to get cash back with the app. Shopkick and Ibotta are very similar but with Shopkick you can earn rewards for submitting your receipts, watching videos, and shopping online. $5 in “Kicks” is all you need to redeem your earnings for gift cards to popular shopping destinations like Target, Sephora, Toys ‘R Us, and many more! Apps like Ibotta and Shopkick give you fun ways to keep up with the latest deals on groceries in your area. If you’re tired of scanning receipts, then I’ve got good news for you: with Snap by Groupon, you don’t have to! This handy little app gives you the power to browse Groupon’s amazing deals in every category – home, getaways, goods, coupons, the whole shebang – right from your phone. If you’ve never used Groupon before, then let me tell you – that, my friend, is power. Groupon is a go-to for deals and coupons of all types, including local bargains you didn’t even know you were missing out on. Users, beware! If you’re not careful you could spend hours researching behavioral therapy and holistic remedy certification courses you had no clue you needed. With SavingStar, you only need $5 in your account to redeem your savings. You can choose your rebates via the app or the website. For automatic-savings stores, you’ll need to connect your store loyalty card in order to redeem your offers. For receipt-scan stores, submit a picture after checkout and submit it via the app or website. SavingStar allows you to receive payment through PayPal, a personal bank account, or donate your savings to a charitable cause. If you love getting a good deal anywhere you shop, then Coupon Sherpa is a must-download app. What makes Coupon Sherpa unique is its wide selection of in-store and online coupons, as well as location-based coupons specific to your area. In the checkout line and forgot to look for coupons? No problem – just pull up Coupon Sherpa, have a quick search, and show your cashier at checkout. Save your favorite stores in the app to make saving money even easier. This app is perfect for newbie couponers. 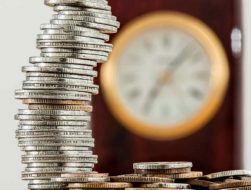 Not only does Krazy Coupon Lady give you the best deals on the web, the app also comes equipped with tips and tricks to teach you how to save money like a pro. Choose your favorite stores in your location, create a shopping list, and save deals for later if you’re not quite ready to brave the crowds. With over 60 new deals per day, there’s a coupon for every event. How much lost time have you spent Googling items in-store to see if you can get it cheaper elsewhere? I used to do that too until I learned about ShopSavvy. This is the number one tool for price comparisons across stores. All you do is scan the item you want to compare, and ShopSavvy will tell you if you can get a better deal somewhere else. But, wait! That’s not it. The app will also let you know if the store you’re shopping at will match the lower price based on the store’s policies. If it does, you’ll get a price-match screen to show your cashier to make the checkout process completely painless. The premise is the same as some of the other grocery receipt-scanning apps like Ibotta on this list: choose your deals, scan your receipt, save money. Instead of paying you with cash, Fetch Rewards offers gift cards to dozens of retailers, including Amazon, Target, Sephora, and Best Buy to name a few. When you download the app, use code A1XWB to get 1,500 Fetch Points (worth $1.50). Receipt Hog is another receipt-scanning app like Ibotta. But unlike Ibotta, users aren’t limited to cash back only on grocery items. With Receipt Hog, the game works a bit differently. Shop anywhere, any time, and buy anything. Scan your receipt to receive coins that can be traded for PayPal credit, Amazon e-gift cards, or magazine subscriptions. Each receipt also gets you an entry for Receipt Hog’s monthly drawing, where winners receive up to 5,000 coins. The more active a member you are, the higher your chance of qualifying for additional bonuses such as short surveys and extra spins and coins. Why do I need more than one cash back app for groceries? For those of us still sporting a 16 GB smartphone, each app takes up precious space that could otherwise be used to capture every precious moment of our canines’ lives. Why would we use that valuable space for umpteen different coupon apps? Well, remember, not every coupon app has the same items or savings available. Even the ones that do virtually the same things (e.g. 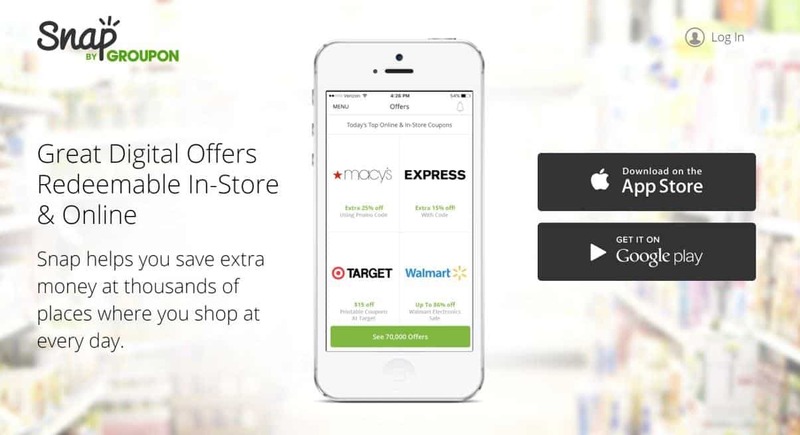 cash back grocery receipt-scanning apps) will have different offers. There are a ton of money-saving and money-making apps out there that didn’t even make our list. We recommend trying the ones that did make the cut (the ones above) and choosing the ones that suit your needs and lifestyle!